Creative Vortex is a strategic partner for passionate people in a wide variety of industries. Like a vortex, your brand requires and contains high-level energy. At the center it contains a great deal of power. When we focus on building that power from the inside out we create a vortex that builds an irresistible force. This force creates momentum. When building your brand, we harness this valuable momentum to create consistency. This consistency runs throughout your brand to power your ‘WHY’. Being true to your WHY is what creates authenticity and sets you apart. This is the theory behind Creative Vortex and what inspires founder, Bridget Soden. Creative Vortex is a boutique creative agency with a focus on strategic partnerships with passionate people who own the power of their WHY. Bridget Soden is recognized by her peers as a leader in branding and design. She has been principal and creative director of Creative Vortex Inc. for over 12 years, Bridget is a strategic partner to passionate people in a range of industries. Her proven expertise is displayed through the energy and attention she invests into her work. 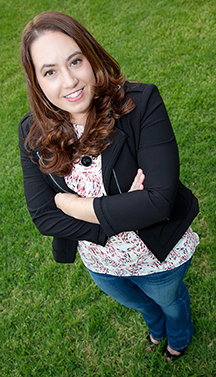 Bridget has served as chapter president for AIGA Orange County, The Professional Association for Design. She has been recognized by design leaders for her ability to create and lead others. The time she spent on the board of AIGA OC made a tremendous impact on how she runs her business and views design.